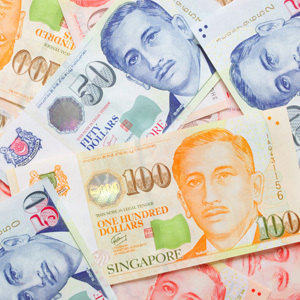 According to a recently-published report by Forbes Insights and Societe Generale Private Banking titled “Global Wealth and Family Ties”, 57.5% of Singapore’s wealthiest have made their fortune through family businesses. On top of that, the trend has been on the rise, leaping by 42.9% since 2008. On the back of this announcement, Singapore company registration specialist Rikvin is positive that the uptrend bodes well for self-made and family-run enterprises that are opting for Singapore company setup and intending to grow their business in the Republic. Other than self-made businesses, wealth in Singapore was generated through inheritance or “old money” and has grown by a whopping 148.9% since 2008. 35% of heirs are growing their inherited fortunes and have experienced a 36% growth rate since 2008. Fortunes that are generated through family-run businesses are found more visibly in mature markets (46%) such as France, Hong Kong and the United States than emerging markets (39%). strong focus on intellectual property protection. Singapore has been ranked by World Bank as the easiest place to do business for 6 consecutive years, even surpassing Hong Kong, due to the ease of setting up a Singapore company, trading across borders and dealing with construction permits. Getting access to capital in Singapore ranked number 8 worldwide due to lower interest rates offered by banks in Singapore. One of the factors that has been listed in World Bank’s Doing Business Report is paying taxes and Singapore ranks number 4 worldwide. Earlier this year, and in a bid to take a load off small enterprises, IRAS has announced a simplified tax filing system through Form C-S for eligible small enterprises. Business is also made easier and less costly across borders because of Singapore’s extensive network of Free Trade Agreements (FTAs) and Avoidance of Double Tax Agreements (DTAs). With regards to income earned in the Republic, Singapore corporate tax and personal income tax rates are lower and more attractive than some other mature economies, thereby offering Singapore businesses incentive to set up operations in the Republic. Singapore also does not have any capital gains tax, spelling good news to HNWIs and family businesses that may have operations offshore. In terms of protecting investors, Singapore ranked number 2 on World Bank’s Doing Business list, surpassing Hong Kong, United States and Denmark. As discussed in a former announcement, Singapore is incentivizing entrepreneurs to acquire and register Intellectual Property Rights (IPRs) in Singapore via the Productivity and Innovation Credit (PIC) Scheme. Under the PIC scheme, the owner of a Singapore-registered company will automatically enjoy 400% tax savings or a 60% cash payout should he register or acquire intellectual property such as trademarks and patents.